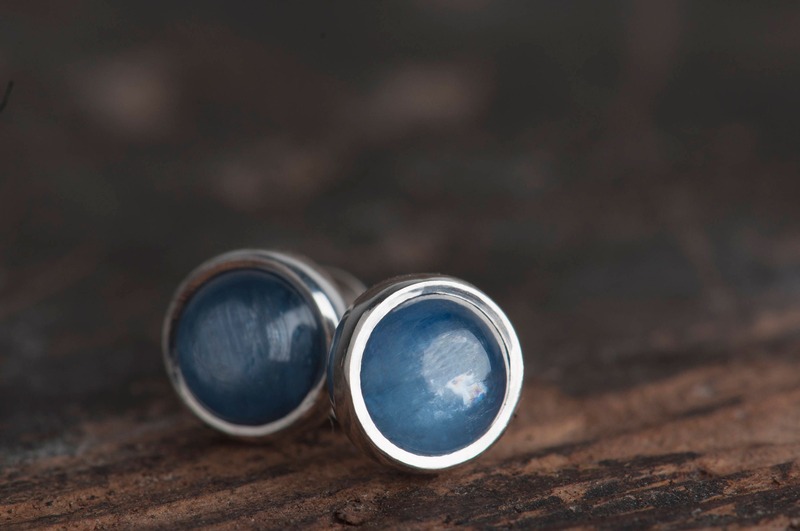 In this simple stud earrings I used kyanite but in my offer you can find more stones – but in the same shape and size, but in different colors. 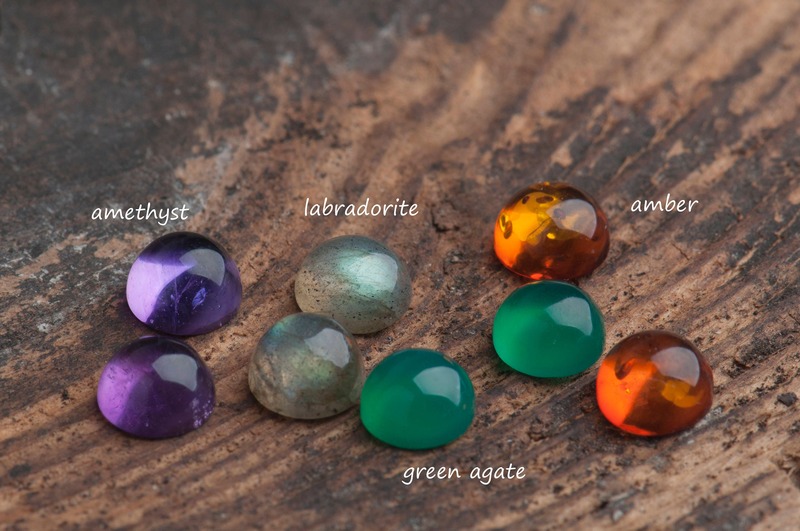 On the photos you can see several gemstones that I have in my workshop at this moment - labradorite, green agate, amber and amethyst. 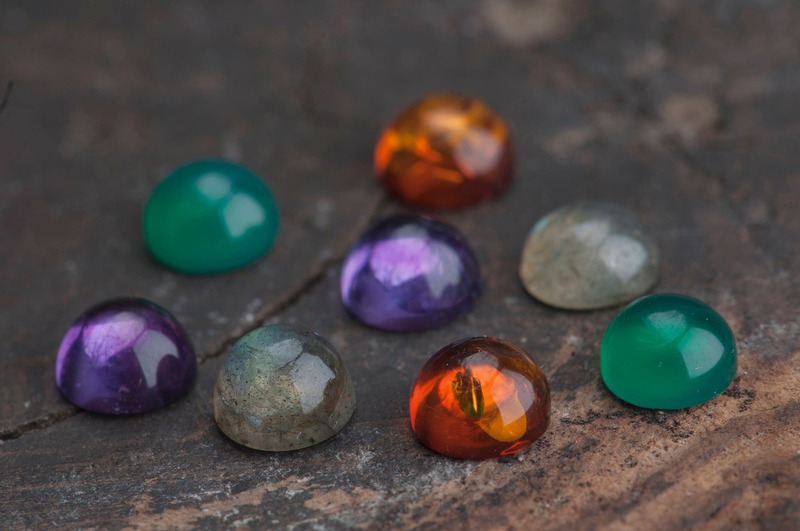 But I also have for example opal, carnelian, blue agate and aventurine. 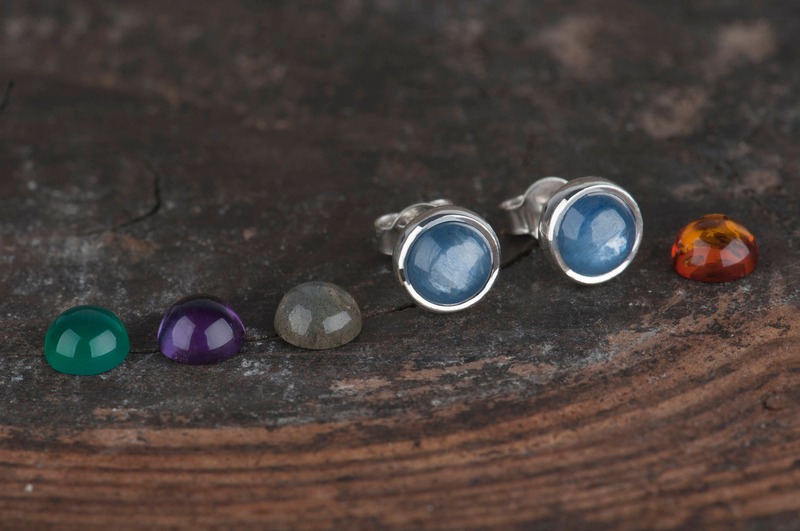 Please choose those that will fit you the most :) If you want studs with a certain birthstone or any other stone I didn't mention here just let me know – if I don't have them I'll do my best to get the one you dream of. 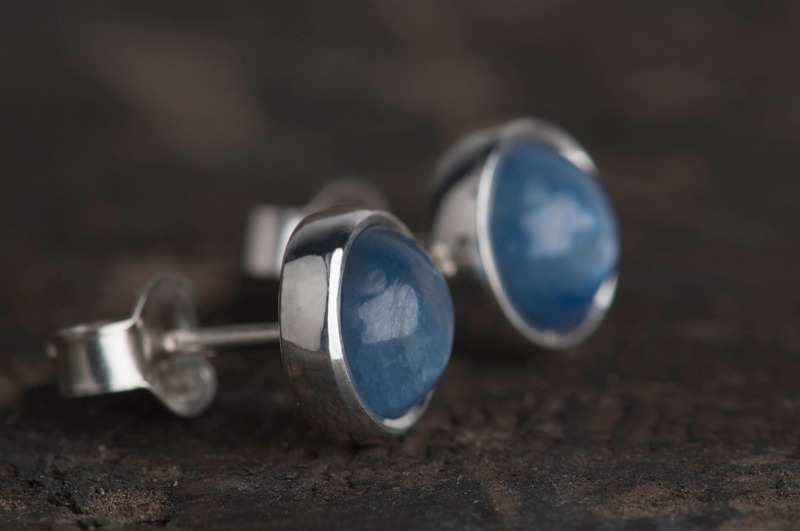 On photos you can see studs made from sterling silver with kyanite, a natural blue stone. 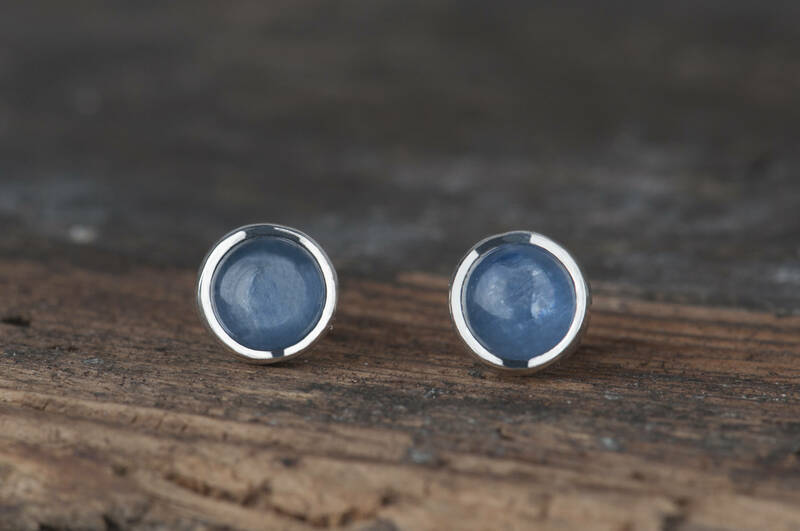 Because of their minimalist and really simple setting this stud earrings are perfect everyday jewelry both for women and girls. 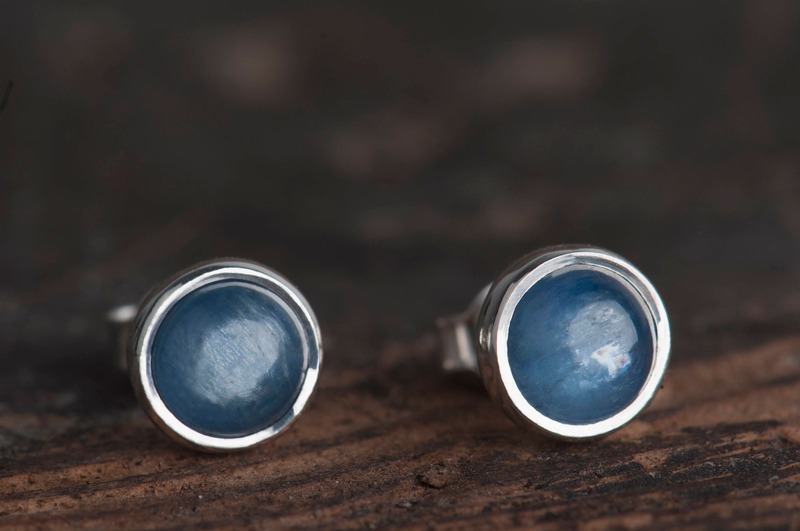 They are comfortable and delicate but elegant and eye-catching at the same time. 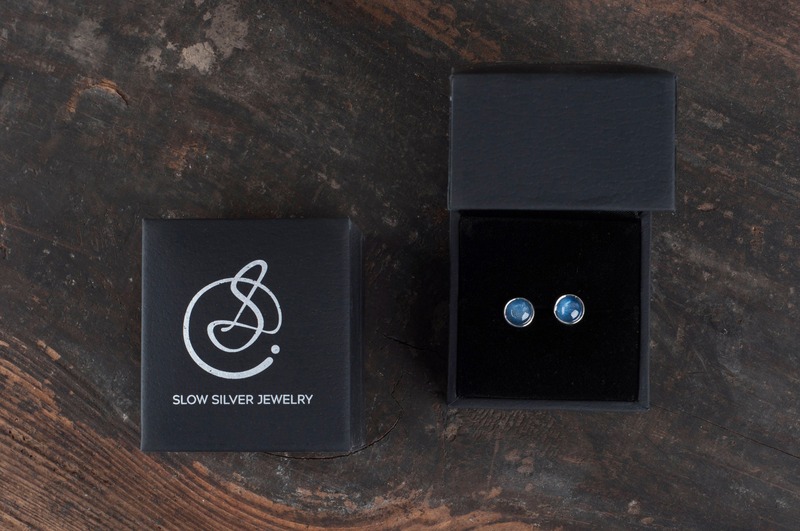 Your stud earring will arrive in an elegant box ready for giving. I can ship it to a third party if you wish. 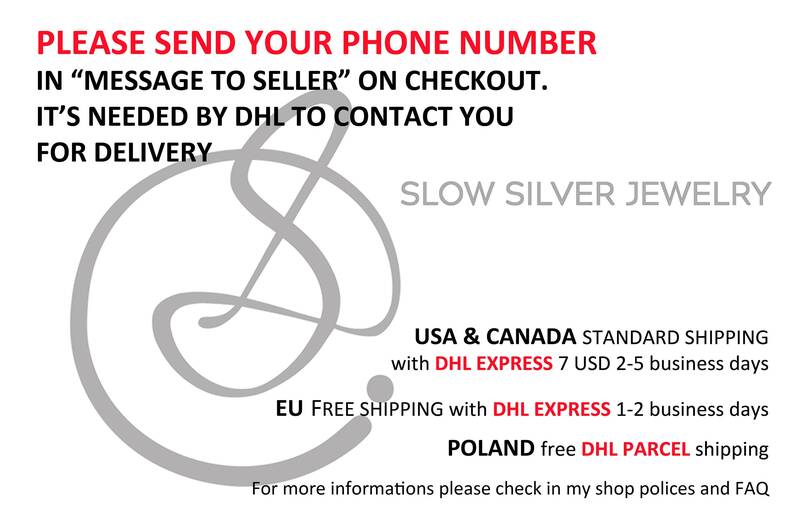 Just let me know and I will include a special card with a personal message from you inside the box.